Home › Electronics › Alesis Dm6 Usb Kit Eight-Piece Compact Beginner Electronic Drum Set With 8" S..
Alesis Dm6 Usb Kit Eight-Piece Compact Beginner Electronic Drum Set With 8" S.. 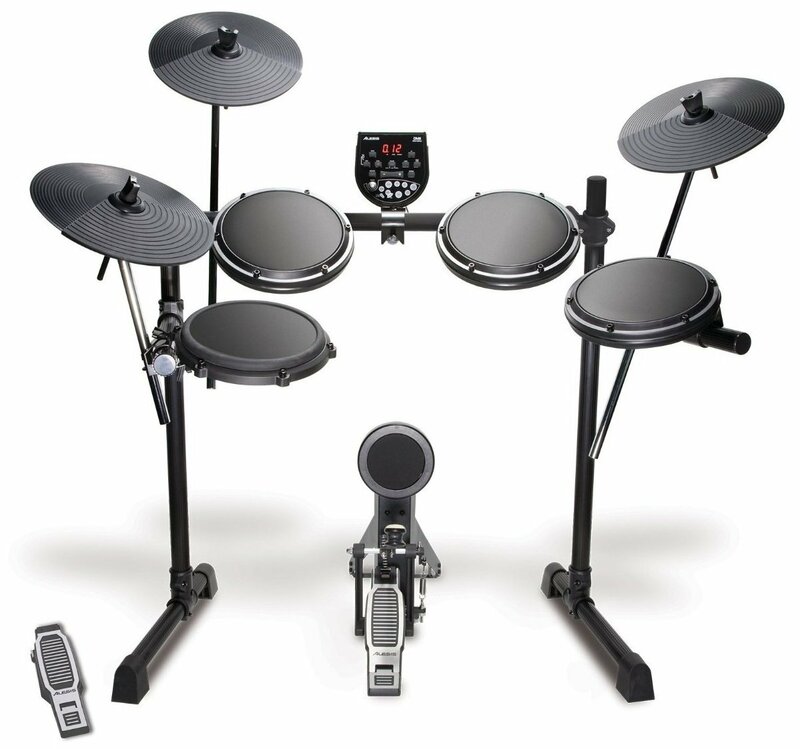 Style: Drum Set The Alesis DM6 USB Kit brings the best of Alesis' 20 years of experience inprofessional electronic-percussion gear to the aspiring musician in need of aversatile drum set. The DM6 module features an internal collection with 108 quality drum, cymbal,and percussion sounds. You can edit and save your drum kits for custom soundsusing 10 presets and 5 custom slots. The USB output sends the notes you playout as MIDI signal, so you can use the DM6 as a trigger-to-MIDI interface withdrum-module software such as BFD, Toontrack, or Reason for a limitlesscollection of sounds. You can also connect your smart device or CD player through the DM6's stereoinput jack to play along to your favorite songs. Like all Alesis drum sets, the DM6 USB Kit features realistic, natural-feelingplaying surfaces. To reduce vibration feedback, we selected natural rubberdrum and cymbal surfaces for the DM6 Kit's pads. This five-piece kit gets you started on a dual-zone snare pad for two-soundcompatibility. The DM6 USB Kit also comes with three tom pads, an uprightkick-drum pad, and hi-hat, crash, and ride cymbal pads. It even comes with anAlesis bass drum pedal and the kick pad is compatible with any single ordouble bass drum pedal for your personal feel.